Place charcoal in the bowl. 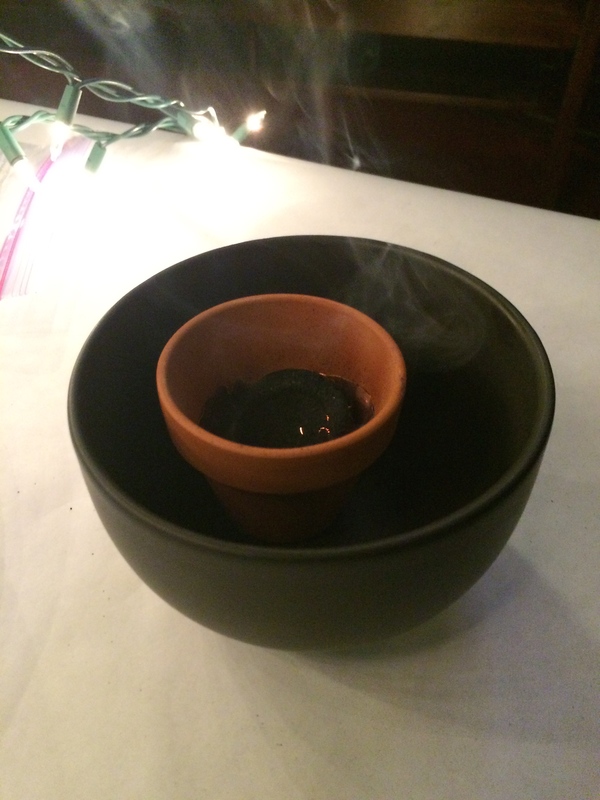 When the charcoal turns grey, put in the frankincense rocks. Jesus was given frankincense. 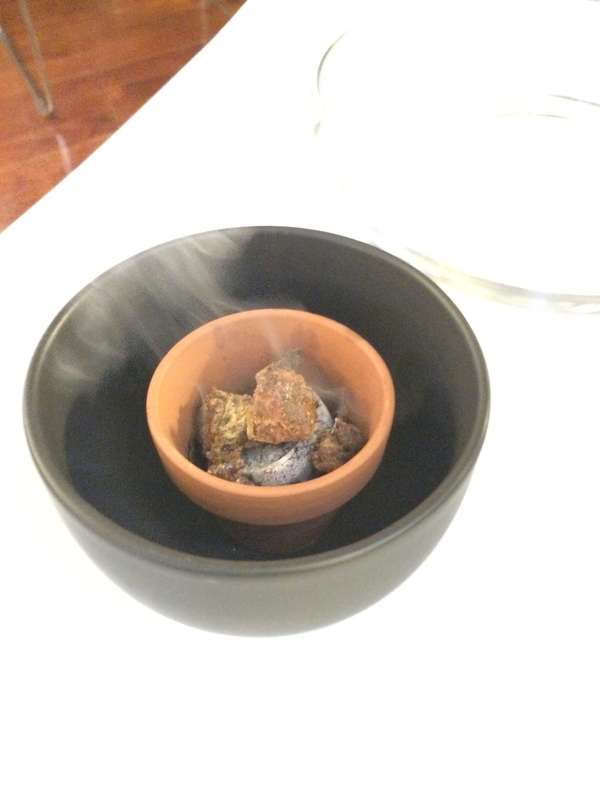 Frankincense reminds us of God’s holy presence in our life. 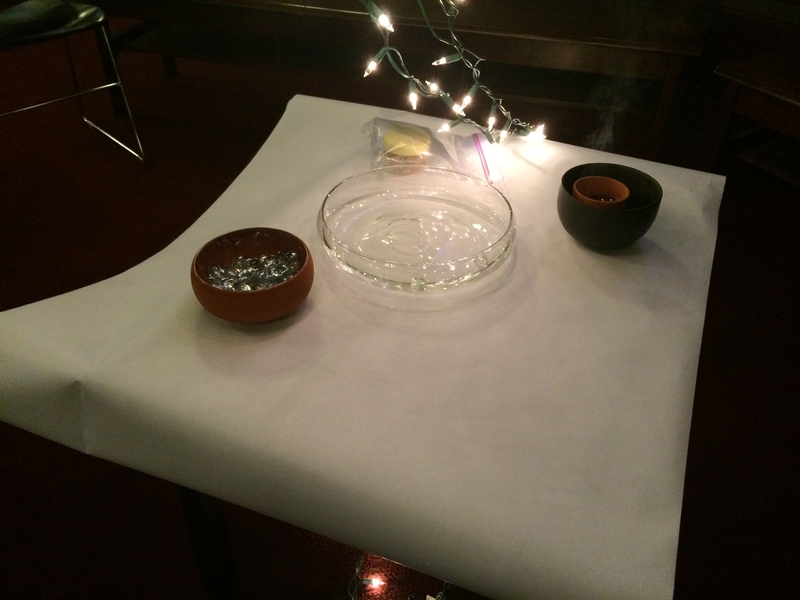 We are given frankincense as well to remind us of our acceptance by God, that we belong to God; that our identity is in being known by God as we pursue our call of following Jesus. What does it mean to you to be “beloved” by God, and that God is “well pleased” with you. Write an honest prayer of response to God, coming from your personal history, and perhaps the difficulty in accepting these words, your brokenness and hope. 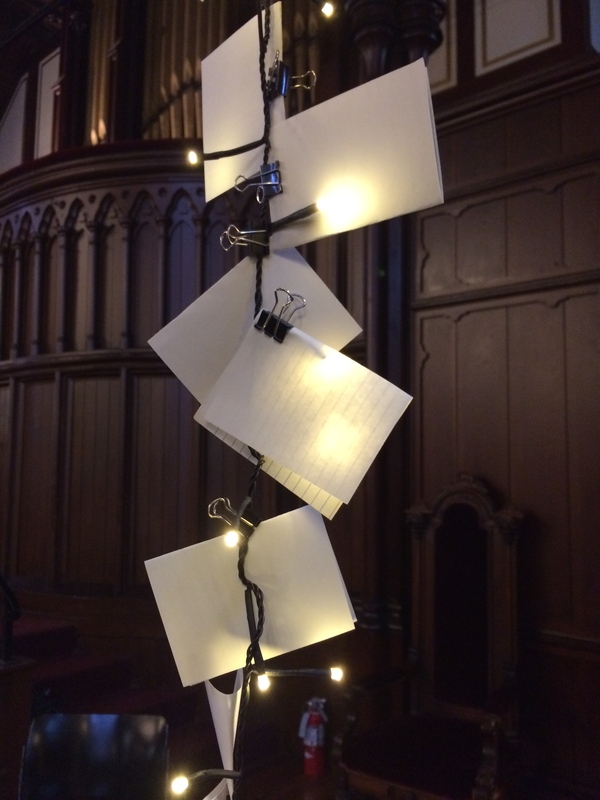 Place the prayer among the lights of many “beloved of God” or take it with you. reflect now on the significance of this . . . let God weave it into your heart. Jesus was given gold. Gold reminds us of the most precious things in life. We are given gold as well to remind us of the precious gifts we share with others as we answer our call of following Jesus. What is your gold, your style, that uniquely gives character to your response to God’s call? Write on the cork the prime elements of your call and the “vintage year” you recognized that call, (you may feel you have numerous calls over your life). Set the cork on the water, as a sign of how God sustains your call through baptism, keeping you afloat with love in your special calling to be with others, to love them and care for them in a way that only you can do. take time to let this settle in . . . invite God to enhance your faith journey. Jesus was given myrrh. Myrrh reminds us of the sweet smell of life, of celebration and of healing in our life. It was also used to anoint the dead celebrating their impact in the lives of others. We are given myrrh as well to remind us of our strength and availability as we respond to our call of following Jesus. In baptism, we enter the water, dying to a life of deterioration, and then emerge, raised to new life, as a calling from God. Drop a marble into water to symbolize your death to all that keeps you from your call. We begin life again. How do you begin again each day, a life that fulfills God’s calling? How is every day your baptism into new life? How do others near or far away, experience your new life, your call each day? Take a moment to silently remember how and where you see that happening. now briefly let this be part of you . . . allow God to broaden your journey. These are some reminders of God’s love, giving water to us. 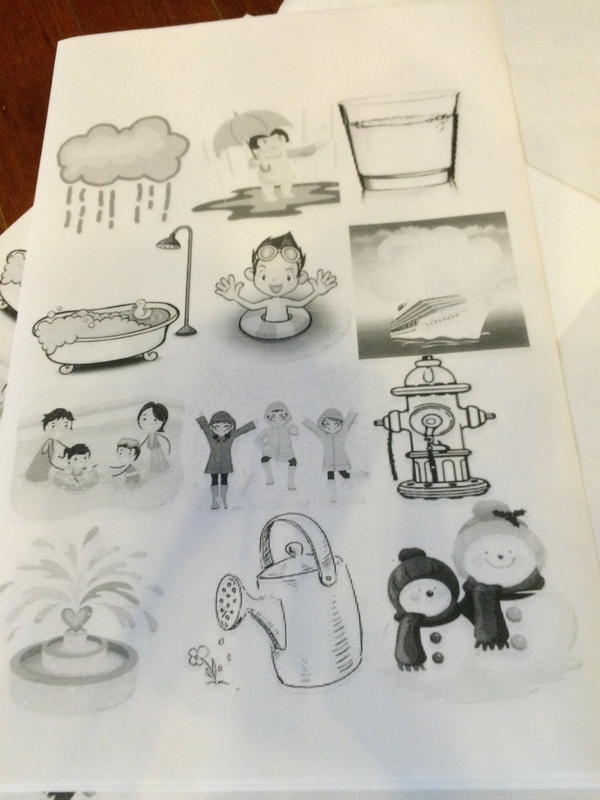 Color the pictures that show your favorite times with water. Why is water so important to us? God says water is a special gift. It is a reminder of how God surrounds us with love in our life. It is a reminder of how we feel new and fresh. It reminds u of how God wants us to play in the water and have fun with the things that God gives us. This is the gift of baptism. Water and baptism are a gift from God. 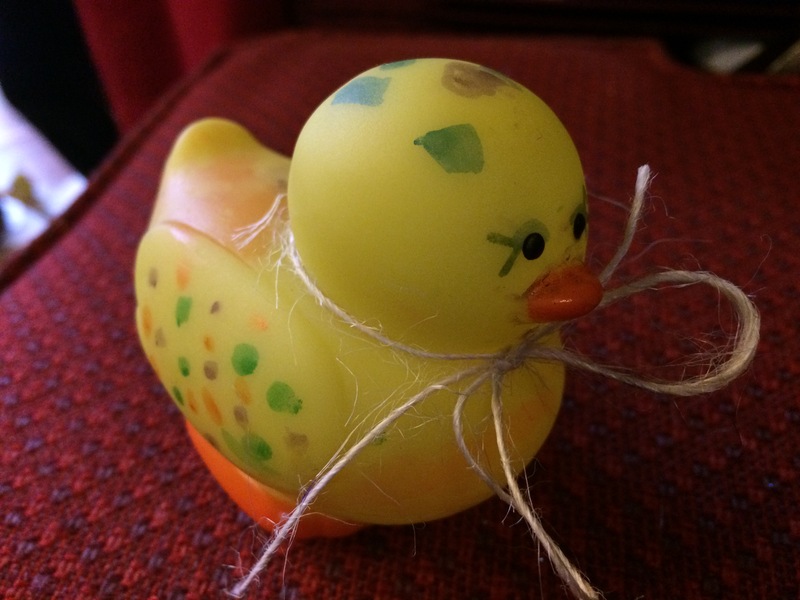 Decorate your duck to remind you that baptism is God’s gift and that you are very special to God. God knows your name and has special talents for you and places for you to be, that is God calling to you. 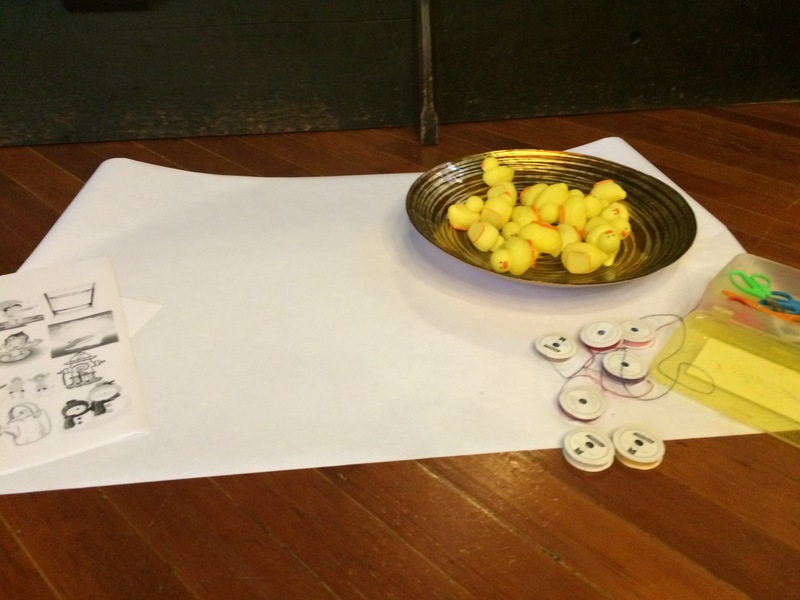 Make your duck special to remind you of how God says that you are God’s child, very special to God. Take it home and let it float. When you see it, think of how God keeps you afloat with love and that you have a special calling to be with others, to love them and care for them in a way that only you can do. Ha ha! Some members brought actually myrrh and frankincense and gave it to john. He had both lit. The smell in the church smacked you in the face when you arrived. I don’t think they were meant to be lit together. 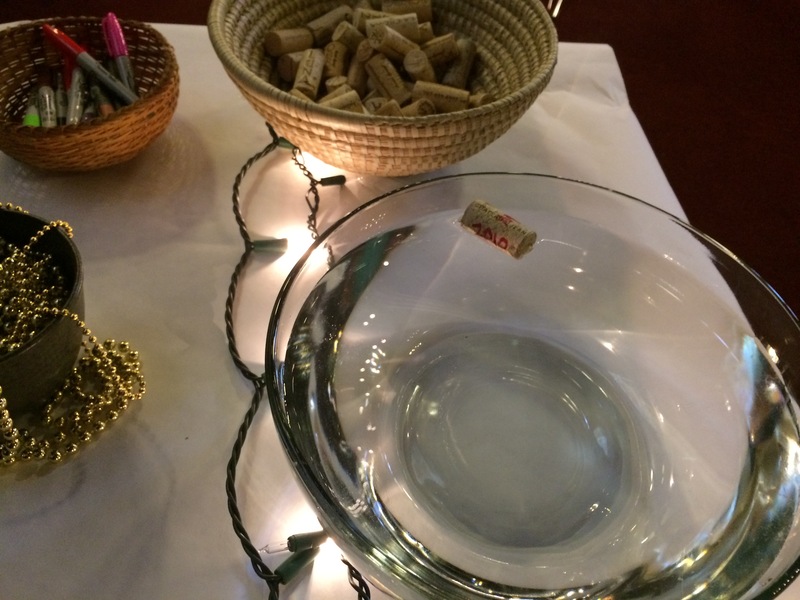 Is the Gold in the Cork and Water station just for decoration? Is there a correlation between Gold and Cork? Yes, the gold was signify the gifts of the wise men: gold, frankincense and myrrh. So each station had either gold, frankincense, or myrrh on it to differentiate. There is no correlation between cork and gold.